I think it’s fair to say that, when it comes to recognition, last week was the greatest ever for the KALW news department. Over the course of two days, the department and its partners won 15 awards from two different journalism organizations representing the Bay Area and Northern California. We are extraordinarily honored. This is a long post, including notes about all the awards we received, and it’s all worth checking out. But if you only have time for one thing, you should watch a video of the acceptance speech by Anouthinh “Choy” Pangthong. He won the award for best audio features journalism along with four other incarcerated reporters working on San Quentin Radio with KALW. Shortly after Choy reported his award-winning story, he was paroled after more than two decades behind bars. That allowed him to attend the awards ceremony in person. Check out what he had to say. 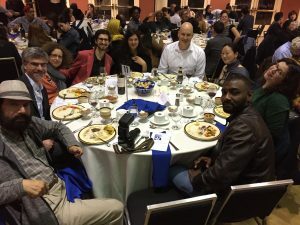 The awards ceremony for the Society of Professional Journalists of Northern California took place on Wednesday, November 14, at Delancey Street Restaurant in San Francisco — part of the country’s largest self-help residential organization for people who have hit bottom to completely rebuild their lives. The eligibility period was July 1, 2017 through June 30, 2018. 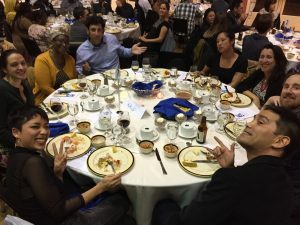 KALW has been honored many times over the years by the SPJ NorCal, which represents media outlets from Santa Barbara to the Oregon border and the Nevada border to the Pacific Coast. We’ve won for outstanding arts coverage, for community journalism, and for best emerging journalists, which is a nice tribute to our commitment to training, made possible with the generous support of the Association for Continuing Education among other groups. KALW has also been recognized twice for having the journalist of the year, with former Station Manager Nicole Sawaya and News Director Holly Kernan winning those honors. 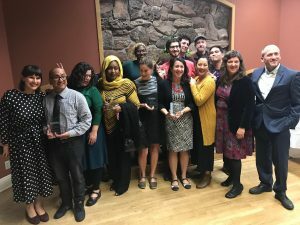 Even with all that, though, this year stood out remarkably, as our team won seven awards — three more than our best previous year — and this in a year that SPJ NorCal judged more candidates in the competition than ever before. COMMUNITY JOURNALISM (radio/audio): KALW and Oakland Voices for “Sights & Sounds of East Oakland” which highlights neighborhood stories featuring local history, youth voices, transit issues, neighborhood safety and more. 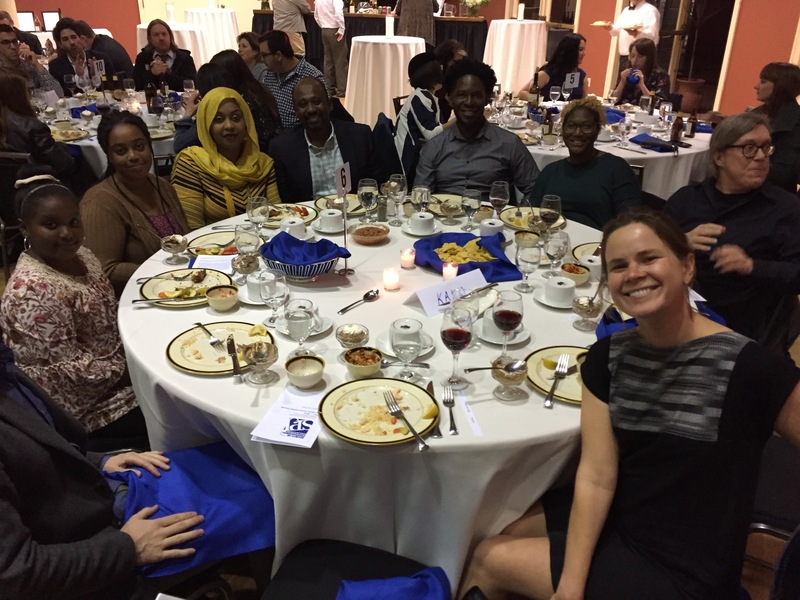 We’re in our fourth year, now, partnering with Oakland Voices — an organization that trains East Oakland residents to produce journalism about their own communities. We offer wrap-around support for those journalists, providing producers, editors, engineers, and administrative staffing to help them create radio stories, air them on KALW, and perform them in live events throughout Oakland. 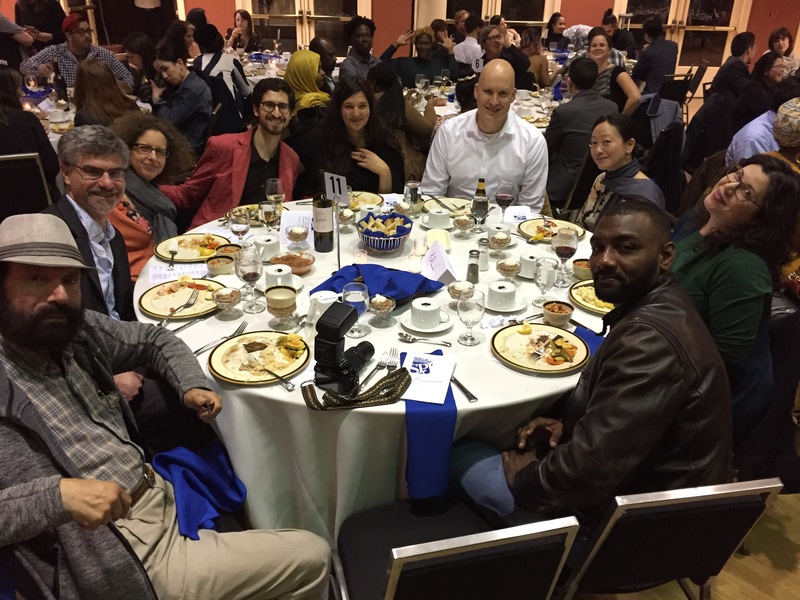 This is the second time our collaboration with Oakland Voices has been honored by SPJ NorCal. EXPLANATORY JOURNALISM (radio/audio): Eli Wirtschafter, Andrew Stelzer, James Rowlands and Gabe Grabin of KALW for “Curb Wars,” a series of stories about parking, public parklets and the high demand and competition for curb access in San Francisco. Eli graduated from KALW’s Audio Academy in 2016, and he’s moved on to produce work for The California Report and other programs. He’s currently KALW’s transportation reporter and also works as an editor, a mentor for a current Audio Academy fellow, and the lead on KALW’s journalism training program at Solano State Prison, producing work for a show featuring incarcerated journalists called Uncuffed. FEATURES (radio/audio): Anouthinh Pangthong, Greg Eskridge, Kelton O’Connor, Luke Colondres and Miguel Sifuentes of San Quentin Radio and KALW for a series of audio features on losing your language, rebuilding family relationships, autism, team building and the cycle of incarceration in one family. 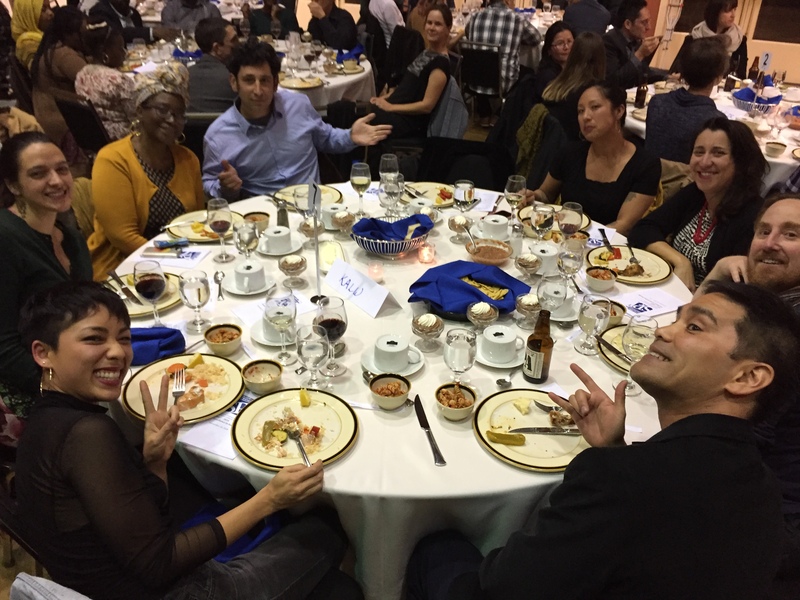 Our training program for incarcerated men began in 2013, originally under the name San Quentin Prison Report, and this is the third time our team has been honored by the SPJ NorCal. This is the first time, though, that it won outside the community journalism category. For the past year-and-a-half, San Quentin Radio has been funded in part by the Arts in Corrections program, which uses funding from the California Department of Corrections and Rehabilitation through the California Arts Council. With additional subsidization from KALW, we’re able to bring two journalists in just about every week to help inmates produce audio journalism. COMMENTARY/ANALYSIS (radio/audio): Kanwalroop Kaur Singh, Lisa Morehouse, James Rowlands and Gabe Grabin of KALW for “I ain’t here for no reason: Stories of Sikh-American resilience.” Kanwalroop graduated from KALW’s Audio Academy in 2018, and this half-hour documentary was her first major radio work. She’s currently studying civil rights law at UCLA. PODCAST: Hana Baba, Leila Day, Julie Caine and Jen Chien of KALW for “The Stoop,” a podcast about issues relating to Black identity, including episodes on cultural appropriation, the history of colorism, hair and lack of representation, and higher rates of infant and maternal mortality. This team, all of whom have been mentors to Audio Academy fellows in KALW’s news department, have made a national splash with this podcast, and they’re currently being featured in a Radiotopia showcase. In addition to their work on The Stoop, Hana hosts Crosscurrents, Leila works as a producer at the podcast company Pineapple Street Media, Julie is podcast lead at KQED, and Jen recently took a position as editor at Reveal from the Center for Investigative Reporting. LONGFORM STORYTELLING (radio/audio): Angela Johnston, Marissa Ortega-Welch and Lisa Morehouse of KALW for “Persistent Poison: Lead’s toxic legacy in the Bay Area,” including segments on its connection to the housing crisis, problems with data about lead poisoning, a possible solution and resources. Angela graduated from KALW’s Audio Academy in 2014 and moved on to become KALW’s environment/energy reporter. She also currently works as an editor, a mentor for a current Audio Academy fellow, and as the station’s deputy news director. Marissa earned this award while working as KALW’s health reporter, and she currently oversees the station’s training programs. Lisa is KALW’s senior news editor. PUBLIC SERVICE (all media): Angela Johnston, Marissa Ortega-Welch and Lisa Morehouse of KALW for “Persistent Poison: Lead’s toxic legacy in the Bay Area,” including segments on its connection to the housing crisis, problems with data about lead poisoning, a possible solution and resources. 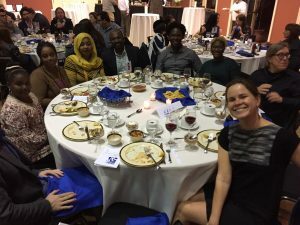 The awards ceremony for the San Francisco Press Club took place the very next night: Thursday, November 14, at the Hilton San Francisco Airport Bayfront in Burlingame. The eligibility period was for the calendar year 2017. The event included fascinating and inspirational speeches by Bay Area News Group executive editor Neil Chase, 48 Hills director Tim Redmond, and Pulitzer Prize-winner Matthias Gafni. This is the third consecutive year that KALW has received more than half-a-dozen awards from the organization, which was founded in 1963 and recognizes work done in ten counties around the San Francisco Bay Area. FEATURE STORY / LIGHT NATURE (non-commercial radio/audio): Jeremy Jue, Lisa Morehouse, James Rowlands and Gabe Grabin of KALW for “Lasting Letters: Leaving a legacy behind.” Jeremy graduated from KALW’s Audio Academy in 2017. FEATURE STORY / SERIOUS NATURE (non-commercial radio/audio): Ninna Gaensler-Debs, Raquel Maria Dillon and James Rowlands of KALW for “Bay Area Haitians react to Trump immigration order.” In addition to her work as KALW’s immigration reporter at the time of this award, Ninna manages our journalism training program at San Quentin State Prison. While she continues the work at the prison, she has moved on from her KALW staff job to a production position with the podcast company Gimlet Media. INVESTIGATIVE REPORTING (non-commercial radio/audio): Kanwalroop Kaur Singh, Ben Trefny and Gabe Grabin of KALW for the documentary series “Unearthing the Green Revolution.” For this work, Kanwalroop utilized a fellowship from the International Center for Journalists to report in California’s Central Valley as well as Punjab, a state in northern India. SERIES OR CONTINUING COVERAGE (non-commercial radio/audio): Angela Johnston, Holly J. McDede, Eli Wirtschafter, Lee Romney and Jenée Darden of KALW for “Cannabis in California.” Cannabis in California rounds up KALW News’ complete coverage of the Golden State’s latest boom economy — the “green rush” of legal marijuana for medical and adult recreational usage — featuring the work of our reporters looking at the industry through the filter of their beats. SPORTS FEATURE (non-commercial radio/audio): Luke Colondres, Louis A. Scott, Marissa Ortega-Welch and Ben Trefny of KALW for “Building a team within prison walls.” This feature, which earned Luke his first journalism award, was produced for San Quentin Radio. 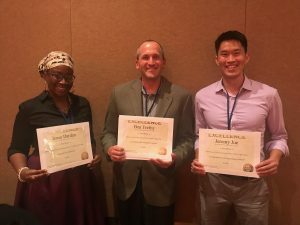 It’s the third consecutive year that the journalism training program has received recognition from the San Francisco Press Club for its work. Altogether, this was really an extraordinary and extremely gratifying week. I’m so happy for all the award recipients, and I’m very pleased that the hard work we do throughout the year was honored with so many accolades. These many awards were earned by people who not only are at different stages of their journalism careers, but who live in very different circumstances. It’s a testament to the commitment KALW has made to bringing forward the voices of people who are often not heard, and to the fulfillment of building a news department that truly tells stories by and for the diverse communities it’s trying to serve.